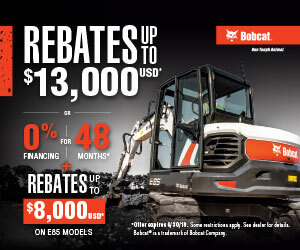 With all the new and used equipment lines found at our store, we make sure to stock an extensive inventory of high-quality Bobcat, Kubota and other related parts and accessories. If for some reason we don’t have what you’re looking for at our particular location, we will track it down for you. Our parts specialists are constantly working to get you the exact supplies required right when you need them. As a full-service dealership, we’re proud of the relationships we have with our customers and guarantee friendly, efficient service on all your maintenance needs. You can count on our experienced, factory-trained technicians to examine and repair your equipment quickly and correctly. Our first-class service department also keeps up with the changing technology to ensure ultimate customer satisfaction. 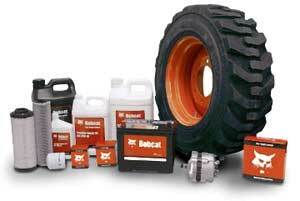 Bring our service technicians your equipment for regular maintenance and extend the life of your Bobcat, Kubota and other lines of equipment. Much like with any engine, regular maintenance of your equipment's oil, filters and parts is the best way to keep your tractor, excavator or other equipment running longer and better.